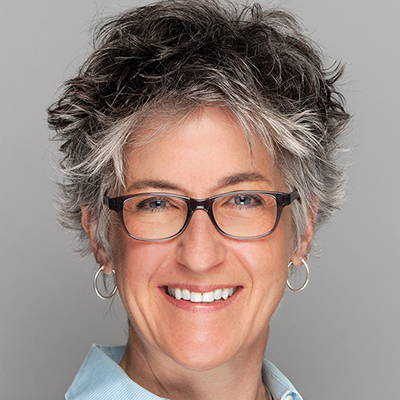 Deborah Kilpatrick, PhD is the CEO of Evidation Health, a privately-held digital health company that helps individuals and the world's most innovative healthcare companies understand everyday patient behaviors that create better health outcomes. Previously, Deborah was the Chief Commercial Officer of genomic diagnostics company CardioDx, whose Corus CAD product was named in the Wall Street Journal Technology Innovation Awards and TIME Magazine's Top 10 Medical Breakthroughs. Earlier in her career, she held multiple roles in R&D and New Ventures at Guidant Corporation prior to its acquisition by Boston Scientific. She chairs the Georgia Tech College of Engineering Advisory Board, is a Director for Sleep Number (NASDAQ: SNBR), sits on the Leadership Board for Santa Clara University's College of Arts and Sciences, and is a Fellow of the American Institute of Medical and Biological Engineering. Deborah holds B.S., M.S. and Ph.D. degrees in engineering from Georgia Tech.